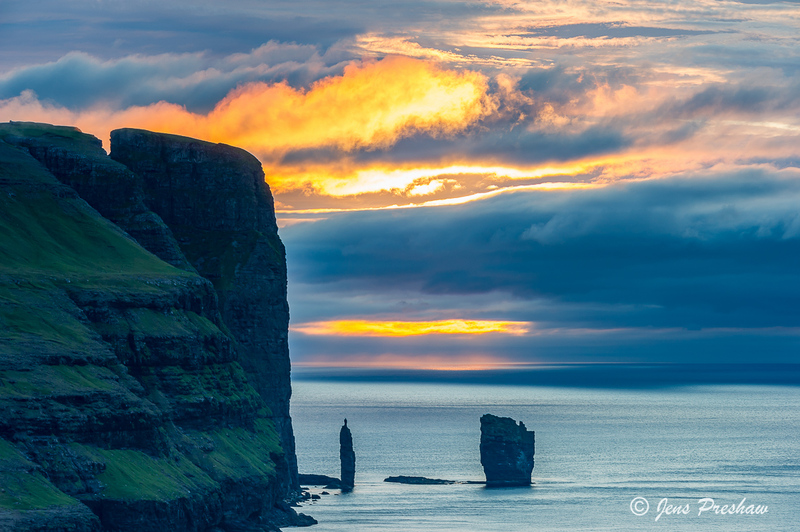 The two sea stacks Risin ( 71 metres ) and Kellingin ( 69 metres ) are the remains of a giant and giantess who came to the Faroes to tow them north to Iceland. The female giant climbed up nearby Eioiskollur mountain to attach a rope. The mountain cracked, which is visible in the photo. This delayed matters, which finally came to an end when daylight turned the two giants into stone.